I don’t really know much about who Mike Adams is, or what makes him think he is an authority on Mormonism, but his recent column at Townhall, egregiously titled “My Apology to Mormon Readers” is a complete slap-in-the-face. I am stunned that Townhall has allowed itself to be party to such blatant bigotry. In any event, because it exists, I am sure people will read it. Thus, I am writing a response, meant to show the problems with Adams’s statements. Adams is either unaware of LDS scholarship on these topics, or blatantly choose to ignore it. Apparently, this is not the first time Adams has targeted Mormons in his column. He has argued that Mormon’s are not Christians, eliciting demands from Mormon readers, one of whom is apparently named Stacey, to whom his apology is addressed. He does not go into this here, and neither will I. This is a topic I have taken up a number of times on my blog, and will encourage others to pursue the arguments I have advanced regarding the Christian status of Latter-day Saints. Adams’s first apology is about reading the Book of Mormon. “I am sorry that so many of my Mormon readers have brazenly accused me of ignorance of their religion and suggested that I read the Book of Mormon. I am sorry that they were unaware that I read the Book of Mormon back in 2006.” If he has read the Book of Mormon back in 2006 (and presumably only that one time), then I would kindly recommend he read it again. You don’t become an expert on a 531 page book after reading it once, and the remainder of his column reveals that he is not much of an expert. I would also recommend he read some good secondary literature on the book written by faithful Latter-day Saints, so he can get a handle on how Mormons themselves understand and interpret the book. Since he wants to make claims regarding historicity, I suggest it is best he read the work of scholars addressing such claims, so that he knows not just how any-ole’ Mormon understands the issues, but rather how the most informed LDS understand those matters and how they interpret scripture in light of them. Doing that could equip him with the capacity to make more substantive criticisms. As for accusations of ignorance about Mormonism, brazen or not, the column itself serves as confirmatory evidence of such an accusation. Adams then apologizes that “the science of genetics has refuted claims made in the Book of Mormon concerning the relationship between Native Americans and Semitic people.” This science “undermine[s] the entire historical premise of the Book of Mormon. As a criminologist, I suppose Adams can be forgiven for believing that DNA has dealt a decisive death blow to the Book of Mormon. In forensics, DNA has proven to be a decisive tool. But forensic DNA scientist Dr. John M. Butler reports that the methods that allow for such accuracy in criminal court are not applicable to ancestry studies. Dr. Ryan Parr, a biological anthropologist who has authored and co-authored studies on Native American DNA, specializes in ancient DNA, and has sequenced the DNA of Egyptian mummies, has concluded that DNA studies have not disproven, and could not disprove, the Book of Mormon because of many complicating factors. Dr. Ugo Perego, a population geneticist who has also published studies on DNA and Native American origins, has also explained why DNA does not disprove the Book of Mormon. (Perego’s response to Adams’s claims on facebook: “I am sorry this guy doesn't understand how population genetics work.”) So has Dr. David A. McClellan, another DNA researcher. I could go on. Adams then apologizes “that while archeological discovery supports the claims of the Bible it clearly does not support the claims of the Book of Mormon.” First, many Biblical claims are not supported by archaeology, and second the kind of comparison he is trying to make is methodologically unsound. Old World and New World archaeology are entirely different beasts, and any text grounded in the New World should not be held to the archeological standards of the Old. Dr. William J. Hamblin, a historian specializing in civilizations of the ancient Near East, and Brant A. Gardner, who has a graduate degree in ethno-history specializing in pre-Columbian Mesoamerica, have both discussed the implications this has for the Book of Mormon and archeology. Given the limitations, one would not expect to be able to find a ruin that can be specifically identified as Zarahemla. Adams might like to know, that using the same kind of methods that archeologists use to identify otherwise unknown locations mentioned in ancient texts throughout the world, LDS scholars have made fairly reasonable correlations to Mesoamerica and the Book of Mormon. I would recommend he try reading Dr. John L. Sorenson’s An Ancient American Setting for the Bookof Mormon, or better yet his magnum opus, Mormon’s Codex: An Ancient American Book, due out later this year. Or he can browse one of the six volumes in Brant A. Gardner’s Second Witness: An Analytical and Contextual Commentary on the Book of Mormon, or wait for his forthcoming book on the Book of Mormon as and in history. Furthermore, Mesoamerican archeologist Dr. John E. Clark, has actually shown that over time, archeology has come to better support the claims of the Book of Mormon. Adams’s claim also neglects to deal with the archeological evidence that has been found in Arabia, which supports the claims of the Book of Mormon in its Old World setting. Adams claims, “Battles that were supposed to have occurred in specific locations in North America simply never took place. The archeological evidence just isn’t there.” This statement is utter nonsense. Before you can say that the evidence for battles in “specific locations” does not exist, you have to identify what those locations are. F. Michael Watson, assistant to the First Presidency, in a letter sent on behalf of the First Presidency, wrote “there are no conclusive connections between the Book of Mormon text and any specific site.” So on what basis does Adams claim that we lack evidence in the right places? If we follow the Mesoamerican correlations mentioned above, then we do, in fact, find evidence for battles in the right times and right places. The next paragraph is quite the barrage of criticisms. I am sorry about the plagiarism of the Holy Bible that runs through the Book of Mormon. I am sorry that Mormons cannot see that Joseph Smith’s refusal to reveal the golden tablets is strong evidence of their nonexistence. The heavy plagiarism in the Book of Mormon puts the lie to the rest of the story of Smith, the former seeker of the lost treasures of Captain Kidd. Plagiarism? Really? Plagiarism requires that an author take the work of another and claim it as their own. The problem is, Joseph Smith never claimed the Book of Mormon as his own – he said he was the translator, and nothing more. Furthermore, the ancient authors, such as Nephi, are usually pretty clear about the fact that they are quoting Isaiah or some other prophet. As for unattributed quotations, John A. Tvedtnes has shown that the same phenomena occurs in the Bible. Plagiarism is a wholly modern concern, thus charging the Book of Mormon with it is to fallaciously beg the question. I can only regard his comment on the plates to be deliciously ironic. Joseph Smith did show the plates to others – 11 others, in fact. And their testimonies, along with the informal testimonies of others like Emma Smith, serve strong –very strong – evidence that they were real. So strong in fact, that some of the more reasonable critics of Mormonism have conceded that Joseph Smith had some sort of metal plates. They just don’t acknowledge those plates as being the source of the Book of Mormon. (Their arguments in that regard are, in my view, quite weak, but that is for another time.) The seminal work on this subject is Richard Lloyd Anderson’s book, Investigating the Book of Mormon Witnesses, yet another book I would recommend Adams get familiar with. As for the Captain Kidd connections alluded to, I recommend Larry E. Morris’s review of those claims, as well as Mark Ashust-McGee’s lengthy paper on the notion of Moroni as Treasure Guardian. Apparently, the only fruit of Joseph Smith worth talking about is polygamy. Yet Adams merely states a series of facts (or alleged facts) with no explanation as to why that is a problem. Since Adams appears to be a believer in the Bible, I must ask if he is also sorry that Abraham practiced polygamy? Is he also sorry that Jacob – the very father of the house of Israel – was married to sisters? The whole laundry list of accusations against Joseph Smith, including those of coercion and lust, does not, according to Brian C. Hales, author of the three volume set Joseph Smith’s Polygamy, hold up to historical scrutiny. I recommend Adams try reading Hales work of the subject – at present, it is the most thorough and definitive. Adams then uses the Jacob 2:24 to imply contradiction, but he fails to mention Jacob 2:30 which explains that exceptions can be made. Adams says he is sorry that Joseph Smith spoke of exaltation, but I am not. This is the most empowering, enabling doctrine not just of Mormonism, but of any religion, period. It also truly exalts God and Christ – as the quote from Joseph used by Adams actually indicates. I am not sorry that I believe the Atonement of Jesus Christ is so powerful that it can actually make me like God. I am sorry, though, that Adams, the one who claims the Christian high ground, would limit the atonement in its capacity to enable men and women to conquer their human natures and partake in the divine nature. I am also sorry (for him) that the historical and scriptural evidence ultimately favors the Mormons on this doctrine. That must be a difficult fact to live with. Adams closes with the statement, “I am sorry that my Mormon readers have unfairly accused me of criticizing Mormonism without doing my homework. But I am glad I did.” I’m sorry I have to say it, but no, Mr. Adams, you have not done your homework. 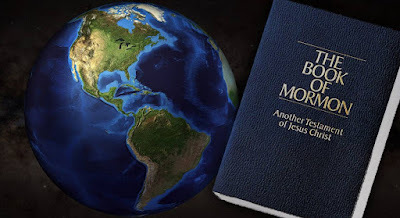 If you did, you would not make silly and naïve accusations about “polytheism” or about “Mormonism teach[ing] that Christ was not there in the beginning.” Surely, if he had done his homework, he would have known that Mormons believe Christ – along with the rest of the human family – was in fact there in the beginning, in a pre-existence. It is also clear, given the above, that he hasn’t really done his homework on all the other topics. Or if he has, he has ignored it. This column is not well researched or well reasoned. It is hit piece journalism, taking the shotgun approach in an effort to overwhelm the average reader with just to many issues to deal with. I am sorry that Mike Adams, who seems like a decent enough person, feels like he needs to disparage a religion with millions of adherents. I’m sorry that he seems to feel like his own religious tradition is threatened by mine. If I decide to go into criminology, though, I hope I can take some classes from him. Given the apparently low standard of “homework” he betrays in this column, I figure those classes must have a pretty light work load. I was saddened that Mike Adams wrote such a stunningly negative and one-sided article about the Mormons. And Mike Adams is an academic who frequently writes about the decay of college education in America. If I was a college professor and one of my students turned in a half-baked, biased, shallow, and unrefined research paper, I would have given it a near-failing grade. I guess Adams is perpetuating the very decay that he derides in his columns. Like you, I am a little surprised that Townhall, a conservative news organization, would publish a religious article that does not add to conservative thought and offends quite a few conservatives. Strange. Couldn't you have linked to the Maxwell Institute and saved anyone the trouble of reading? I don't see how that would save anyone the trouble of reading. In fact, it would do just the opposite. They would now have the trouble of going to website, with no direction on where to go on that website to find answers to Mr. Adams claims. Adams reaches an audience of people who probably are not familiar with the Maxwell Institute. This was written for them, not the savvy veterans of Mormon apologetics. My reply was not a serious query. I have great disgust for much of the "research" of Mormon Apologists and find your lack of description of who these men really are to be troubling. Lack of description of who these men really are? I'm sorry, but they "really are" exactly what I described them as. They really are geneticists, archaeologists, historians, etc. Of course that is not all they are. Many of them are also fathers and husbands,sons and brothers, teachers and students, and a lot of other things. They are also Mormons, but do you really think anyone would seriously doubt that? And yes, you could be described as "Mormon Apologists", but that is as incomplete a label as any other. I provided the information about who these people "really" are which I thought was most relevant. The fact that they are Mormons and apologists seemed, to me, so obvious from the fact that they were writing papers defending some aspect of Mormonism, that it hardly seemed worth pointing out. If you were writing a paper critical of Mormonism, would you describe all your authorities as anti-Mormons, or even Mormon critics? Or would you list what you felt were their strongest credentials? The bottom line is, who they "really are" doesn't matter. To place emphasis on such is ad hominem. Your "disgust" doesn't really matter either. What matters is the merits of their arguments, which are available for anyone to examine. If I were writing a paper I would hope to be as honest in describing any particular motive that someone would have. IIRC only one of the men in your article was a non-apologist. The rest who were mentioned were not simply experts in their respective fields, approached because of either their prominence or because of easy access. They were specifically persons who have been directing their focus of their specific fields into defending LDS doctrines/proofs. And not only appealed to because of their apologetic interests in addition to their field of expertise, but because they have voluntarily put themselves in the category of "apologist". As to the charge of ad hominem, I reject it as inaccurate to the whole of my response. Yes, if I singled out an individual and said "his argument is false because he's a Mormon apologist" then I would be committing an ad hominem fallacy. But simply pointing out that the entire defense is from apologists (who were not identified as such) gives one very little reason to trust their scholarship. Whereas if the group of scholars were from several disinterested groups the overall defense would seem more likely to be trustworthy. "IIRC only one of the men in your article was a non-apologist. The rest who were mentioned were not simply experts in their respective fields, approached because of either their prominence or because of easy access. They were specifically persons who have been directing their focus of their specific fields into defending LDS doctrines/proofs." Drs. Whiting and McClellen and Parr have each written written only 1 article on the Book of Mormon and DNA, and have maybe each given a handful of lectures or video/radio appearances 7-10 years ago . Dr. Butler wrote two very short articles on the subject. NONE of these 4 were involved in apologetics before, and NONE of them have been particularly involved since. Daniel C. Peterson said that when he tried to recruit them and others, no one was interested. These people were not interested in apologetics, and thought the DNA arguments against the Book of Mormon were dead in the water, hence saw no point in responding. When they saw it getting really popular, they finally agreed to write something about it - they felt a responsibility to correct popular misconceptions. So that is 4 who are, by your standards at least, non-apologists. While many of the others have chosen to apply their expertise to Mormon topics (though not exclusively - many of them have written on non-LDS topics and published in non-LDS venues), such an endeavor is not inherently apologetic (as you seem to use the word). Dr. Sorenson doesn't self-identify as an apologist, neither does Richard Anderson or Brain Hales (to my knowledge). They all focus their research on LDS topics, but are trying to understand them, not necessarily defend them. When they see that that criticisms are wrong, though, they certainly do speak up. If you read Sorenson's book, you would learn that he specifically says he is not trying to prove anything. He already believes the BoM is true, he just wants to understand it better. More problematic, your point of view seems to suggest it is better to "approach" someone who is conviently available ("easy access," you call it). But why should we "approach" experts in history, or DNA, or archaeology who have not directed their specific focus to the questions we are seeking answers to? The people I mentioned in my OP are the ones who have dedicated the most time and energy into understanding the things Adams makes assertions on. If we want to understand those questions, we have to read what they are saying. You don't have to agree - I never said that they were undeniably correct - but you have know what they are saying, and you have to engage them, apologists or not. The fact remains however, that at least in the Mormon wars, "apologist" is used pejoratively to describe those who still accept the Mormon truth claims and produce work in support of it. Why should I perpetuate a word usage that unfairly mitigates my position? "As to the charge of ad hominem, I reject it as inaccurate to the whole of my response. Yes, if I singled out an individual and said "his argument is false because he's a Mormon apologist" then I would be committing an ad hominem fallacy." "But simply pointing out that the entire defense is from apologists (who were not identified as such) gives one very little reason to trust their scholarship." You are saying that we should "distrust" their work, not because of its lack of quality, but BECAUSE they are Mormon apologists. That is the ad hominem. "Whereas if the group of scholars were from several disinterested groups the overall defense would seem more likely to be trustworthy." Ah, but that is just the point, isn't it? There are no disinterested scholars. Certainly non looking into the claims of Mormonism. They all have an opinion as to the veracity of the Book of Mormon, Joseph's visions, etc., and they all have interest to therefore promote one view over another. People who don't care if the Book of Mormon is true or not don't bother trying to find out if DNA proves or disproves it. People who don't care don't bother looking to see if archaeology proves or disproves it. People who don't care don't produce the scholarship, because they don't care enough to put in that kind of effort. I'll be responding to your last paragraph above. Adams HAS done the "requisite homework" and has the proper information. But because you believe the apologists to be more accurate in their dismissal of many points you're more than happy to label Adams ignorant or dishonest. You've never considered that maybe he read the claims of FAIR and Maxwell and disagreed with them. It seems that a good majority of the arguments put forward in your OP by these scholars can be boiled down to "the BoM can't be proven false or true". But what type of argument is that? I'll tell you, it's the type of argument someone makes when they're backs are up against the wall. It's a cop out. Your leaders certainly haven't made such arguments, in fact I remember one specifically saying from the pulpit at General Conference concerning the evidences for the BoM that "there are many." You might want to check my follow-up post, because as I point out there, if he has done his homework, it is even worse. And of course, your are wrong, once again, about what I was saying. You say that I "never considered that maybe he read the claims of FAIR and Maxwell and disagreed with them." But, alas, as I said a number of times (including in the paragraph you are responding to): "Or, if he did, he is ignoring relevant information." I certainly have considered that, but that doesn't really help much. Adams makes a series of assertions - he does not make any arguments, he cites no evidence, and refers to no sources. He states them as if they are facts. Yet, many of his assertions are simply false, e.g., he claims Joseph Smith showed the plates to no body. That is not simply "disagreeing" with Mormon "apologists." It is factually incorrect. My point has NEVER been that Adams should agree with these folks, but that he shouldn't be ignoring them. The fact of the matter is that, like it or not, the LDS scholars are the ones who have done most research and are the most qualified to speak on these topics. If you haven't read their work, you should not be speaking publicly on these matters, and if you have you should be engaging it. Not agreeing with it necessarily, but engaging it. As I said in the OP, reading the work of LDS scholars "could equip him with the capacity to make more substantive criticisms." So, no, I'm NOT saying he should be agreeing with them. "It seems that a good majority of the arguments put forward in your OP by these scholars can be boiled down to "the BoM can't be proven false or true". But what type of argument is that?" Second, your characterization of my argument is only really true of the DNA part. I also said that about archaeology, but then I also pointed out (a) that scholars like Sorenson and Gardner have made positive correlations to the BoM and Mesoamerca, (b) that affirming evidence has been found in the Arabian peninsula, and (c) that Clark has shown that archaeological trends are actually favorable for the Book of Mormon. That is 3 points of positive evidence. Your characterization doesn't really hold up for the rest of the post either. I point out that the BoM witnesses are strong evidence in favor of the BoM. The works I am citing are not simply refutations of arguments, nor are they even exclusively apologetic as I've already pointed out. Go read them. You'll see that they say A LOT more than just, "oh, well, you can't prove the Book of Mormon true or false so have faith." "Your leaders certainly haven't made such arguments, in fact I remember one specifically saying from the pulpit at General Conference concerning the evidences for the BoM that "there are many."" Of course, some have also pointed out supporting evidence. Hinkley himself does that in the quote above. Saying that there are many evidences for the Book of Mormon and saying it can be proven or disproven by the evidence are two very different things. The fact is, very little of a historical nature can be proven or disproven definitively. There is data, or information. When that data is used to support a proposition, an idea about what happened, that data is evidence. The same evidence can be used for different, conflicting propositions sometimes. Other evidence will more strongly support one over the other. Usually, there is no clear answer to which is best supported by the available evidence, and sometimes what seems to be best supported by the evidence turns out to be dead wrong. That is the world we live in: walk by faith, not sight and all that jazz. Very well written Neal. I have been asking myself all day which Bible Verse prohibits a man from taking a younger wife. Which Bible verse specifically prohibits having more than one? Upon closer examination, these are cultural and not Biblical biases. Nothing in Adam's screed gets to the core of what it means to be a Christian. He just engages in a drive by shotgunning of things he finds offensive about Joseph Smith's life. Jesus said "By this shall men know ye are my disciples, that ye have love one to another." In reading Adam's article one is left to ask, "Where is the love?" I find it interesting that you have no problem with the biblical prohibitions on marrying mothers and daughters, and sisters. Younger wives seem to be low on the list of concerns. Biblical prohibitions? You mean like when Jacob married not only Rachel and Leah, but their handmaids too? Do you know what a tu quoque fallacy is? Because your "mommy, Johnny did it too!" argument isn't fooling anyone. The point is that Adams, and you, object to this practice when Joseph Smith does it, but don't seem too concerned about Jacob having done it. That is called a double standard, and pointing out double standards is not a logical fallacy. I was responding to Alice and yes it is a textbook tu quoque. Jacob was wrong and Joseph Smith was wrong. Furthermore the charge against Jacob is a red herring as the charges of marrying young for the period (and there is no question that JS married those outside the average martial range for that period and region), charges of marrying without the consent of the first wife, lying to his wife about the marriages, and marrying a woman and her daughter have yet to be addressed. It is plain as day to anyone with limited biblical knowledge that JS violated almost every biblical mandate or instruction regarding polygamy. Simply bringing up "well, Jacob did it too!" does nothing to absolve JS. Further, I'm still laughing at your reference to Hales as the end all of the defense for JS's polygamy. While I have not read Hales I do know his research and have heard him on several occasions talk about his work. In my opinon Hales only makes JS's polygamy sound much much worse than any critic could ever do. Okay, so you are willing to say both Jacob and Joseph Smith were wrong. Good on ya. "Furthermore the charge against Jacob is a red herring as the charges of marrying young for the period (and there is no question that JS married those outside the average martial range for that period and region)"
False. The best evidence and analysis shows that the age ranges of Joseph Smith's wives were not out of the ordinary for the American frontier (and Ohio and Illinois were still the frontier) at that time. "Further, I'm still laughing at your reference to Hales as the end all of the defense for JS's polygamy. While I have not read Hales I do know his research and have heard him on several occasions talk about his work. In my opinon Hales only makes JS's polygamy sound much much worse than any critic could ever do." So you have heard of him and heard him talk about his work. So what? I've heard of Shakespeare and Machiavelli, learned about their work in school, etc., even did one of Shakespeare's plays in school once. But that doesn't put me in a very good position critique it, or ridicule it. Critical examination requires so much more than that. Hales has done the most thorough work on Joseph Smith's polygamy. He has uncovered sources previously unknown. His volumes reproduce ALL the sources on JS's polygamy - many have said the volumes are a MUST simply for the sources - and have provided the most thorough analysis of those sources. If you are not reading and engaging his work of JS's polygamy, well, then, your opinion on JS's polygamy is worthless. I reject the "evidence" you refer to of JS's wives being of average ages. And while I cannot remember the specific articles of age statistics often referred to in his defense, I have explored the topic in the past. I have probably listened to/watched/read the vast majority of interviews, summaries or lectures given by Hales on the subject in lieu of buying the books (I both have no interest in owning them nor do I have the financial ability to do so). I had examined his sources and points for several weeks before I realized that his research has little to no effect on what was already known in several sources. His main points and conclusions on the different occasions surrounding each marriage only make the actions seem much much worse than the did in any single research work prior. For instance, he made the assertion that Joseph Smith didn't require a specific revelation to institute polygamy and that the first few marriages were not eternal marriages (sealings). Both of these assertions make it look to any outsider as if JS was acting simply on the urge within his pants (Hales also acknowledges the sexual unions of these marriages) rather on the guidance of God. I'll rest on my opinion quite comfortably concerning JS's polygamy. Hales only reinforces my opinion, but I'm sure you disagree. Further, I find it rather interesting that no one wishes to address the prohibition of mother-daughter polygamy. And it's not just here, but every single interaction I've ever had with LDS. "In my opinon Hales only makes JS's polygamy sound much much worse than any critic could ever do." Well, your opinion is wrong. Sorry. After having carefully read all three volumes of "Joseph Smith's Polygamy", in addition to Hales' peer-reviewed published work elsewhere, anyone who reads Hales' work and thinks Joseph's polygamy "sound[s] much much worse" afterwords either didn't read his work very well, if at all, or are just ignoring Hales' very persuasive evidence. But don't believe me. Just go ask the good folks on what I like to call the "Bloggeratti" (the collection of Mormon-themed blogs found throughout the interwebz commonly called the "Bloggernacle") and see what they think of Hales' work. They, mostly, don't like it. Their number one complaint is that Hales is "too apologetic" or makes Joseph Smith come out of his practice of polygamy looking too good. Once you've shown that you've read Hales' new books carefully, then I'll take your otherwise lame comments seriously. "I reject the "evidence" you refer to of JS's wives being of average ages. And while I cannot remember the specific articles of age statistics often referred to in his defense, I have explored the topic in the past." Yeah, so, you do know that even Todd Compton, very reluctantly, admits that, while unusual, it wasn't totally unprecedented in the 19th century for Joseph Smith to marry teenagers, right? Compton's work appears in the book "The Persistance of Polygamy", right along side other seriously good work by Greg Smith, Craig Foster, and David Keller on this subject. Again, until you've shown your familiar with this research, your comments remain unimpressive. "Further, I find it rather interesting that no one wishes to address the prohibition of mother-daughter polygamy. And it's not just here, but every single interaction I've ever had with LDS." Works for me. Also helps explain why other biblical prohibitions (like the Mosaic dietary laws) can later be revoked (like they were in the Church under the presidency of Peter, as per Acts 10) when God so commands. I continue to grow weary listening to people who believes that their view is right because they see it as such. I was born in the Middle East and grew up a Muslim. I then spent many years as an atheist before joining the Mormon faith. God bless those who continue to remain Muslim and also those who believe there is no God. What I think has no bearing on what they think. Religion is subjective. If you have to be convinced through science and archeology that a church is true, then you will never receive from God that which he wants you to have. What convinced me to join the Mormon faith has nothing to do with the Book of Mormon or Joseph Smith. It was the fact that virtually every member gladly gave MORE than 10% of their net income to the church, and that the church didn't use that money to pay it's leaders (from the prophet down to a local Bishop). They all do their jobs for free -- no income is earned. No, that money goes to help members pay bills they are having difficulty with, mortgages and utilities and other monthly obligations. That money goes to a series of Bishop's Storehouses--basically grocery stores--that members can go to and get all the food they need to feed their families. We've also fed a lot of Catholics and Presbyterians and other denominations. All they need to do is ask. It was this system (which by the way FDR liked and sent government officials to Salt Lake in the early 1930's to learn how it worked so he could transform it into the welfare system he created) that drew me to the church. It's been 35 years and I trust the church to be true. I don't have to have it proved to me.